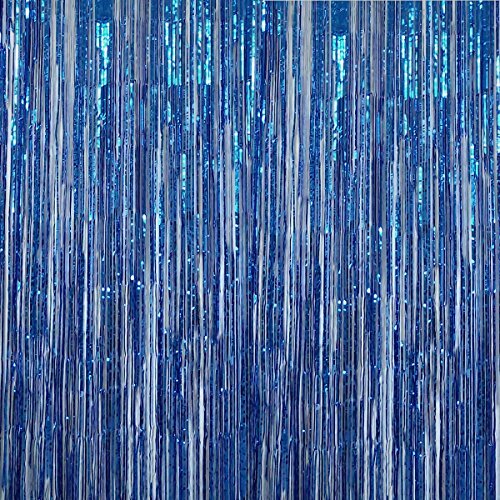 Dazzle your Guests or Friends at the entrance of any Doorway with ShinyBeauty Metallic Foil Fringe Curtain. With this Shiny Curtain, Everyone will Feel like at a Red Carpet Event. Great Party Decorations For Many Occasions Including Fraternities, Sororities, Children's Bedrooms For Both Special Occasions And Parties. Perfect Party Decoration For Halloween, New Years, Christmas & Birthdays. If you have any questions about this product by Anhoo, contact us by completing and submitting the form below. If you are looking for a specif part number, please include it with your message.